When I was a child, I hated history. Not sure if I just didn’t like the facts of the past or the teacher telling us about them. This changed with time, probably because of my curious nature. I love searching for clues! This last week I discovered the history of one of the oldest drugs we know: coffee. Officially discovered in 1885 (ironically, isolated from cocoa), caffeine has been spreading joy here, on Earth, since longer than 1,500 years. Each famous type of coffee you know has roots deeply connected to one moment in time during its journey around the world. Middle East enjoyed the mysterious power-stimulating bitter beverage for 500 years before sharing it with the rest of the world. But its story originated elsewhere. It all started around the year 500 AD when a young Ethiopian shepherd noticed his sheep behaving unexpectedly after eating the fruits of a certain plant – the soon to amaze the world coffee plant. Thus, you see, there is no doubt that Ethiopia is the country with the oldest and longest history in cultivating coffee! In 525 AD when Ethiopians invaded Arabia, they brought the coffee plants to Yemen – just another giant coffee producer with an impressively long history in cultivating coffee. If you are curious to read more about how coffee is cultivated and made in Yemen, click here. To these days, the famous Al-Mokha Yemeni coffee is still terrace-grown, hand-picked, and sun-dried – simply fabulous! But let’s keep the story going. In the following 200 years the use of coffee was reported in the Red Sea area and the bitter drink was mentioned by Homer in ~800 AD. As the coffee drink was described as medicine in the medical reports of the time (Avicennae Arabum) around 1000 AD, Arab traders saw the opportunity for its market and brought to their homeland coffee beans for plantation development. The moment is marked as the birth of the Arabic coffee, one of the most tasteful and highly sought after coffee flavors in the world. In 1200, the coffee plant arrives in Turkey were it undergoes its first heat treatment. It was here that the coffee beans were roasted and then boiled for the first time. That’s when Turkey established the beginning of its coffee-making history and revolutionized the way we enjoy coffee today. Coffee drinking became a replacement for stimulation and basically substituted the alcohol drinking once alcohol was prohibited by the Koran (1400 AD). Less than 100 years later, in 1475, coffee was already introduced to Constantinople (today’s Istanbul) and the very first coffee shop was open there. More interestingly, however, a new Turkish law was enacted as a consequence of introducing coffee in Turkey. Women gained the right to divorce if the husband failed to provide wife’s daily quota of coffee! Prior to 1600, no coffee bean escaped the Middle East. It was in the 1600s that the Italian traders got to introduce coffee to the West, making Venice the receiver of Europe’s first coffee shipment. Thus, you see, that is why the next in the rank of coffee-making culture comes Italy. As anyone may figure, once arrived in Italy, the coffee plant made it straight to the Pope Clement VIII. His advisers urged him to call it an “infidel threat“, but Clement enjoyed it greatly and decided to baptize the coffee beverage instead. Coffee was first sold in pharmacies, as a medicinal remedy. However, in less than 50 years, Venice was to open Europe’s first coffee shop. We aren’t there just yet, though! In 1607, coffee made it to North America where it replaced beer as a breakfast beverage by 1668 AD. Interestingly, at the same time in Turkey, the Grand Vizir prohibited coffee drinking and closed all coffee houses. Facing the controversy of the news, the Turkish Ambassador introduces the coffee plant to the court of Louis XIV, in Paris. In meanwhile coffee continues to experience a wave of protests in England as well, where women petitioned against coffee drinking given the fact that their spouses were too involved with attending regular coffee houses meetings with friends while neglecting family. King Charles even attempted to rule against the coffee houses in 1675, but the order was revoked after public protests. The same year marked another big moment in coffee history. In Vienna, the first dash of milk was added to the coffee. They also served it sweetened for the first time! Paris had its very first coffee shop opened in 1686. “Le Procope” cafe is still in business to these days! Soon after, in 1690, the famous Mocha coffee was smuggled from the Arab port of Mocha. This enabled Dutch to become the first to cultivate coffee in Europe and in their colony of Java (does that name ring a bell, or what?). Both coffee varieties are resonant names in today’s coffee culture across the globe. In London, 1700s were the best years ever for coffee lovers: it seems that the old city had more coffee shops back then than it has today! 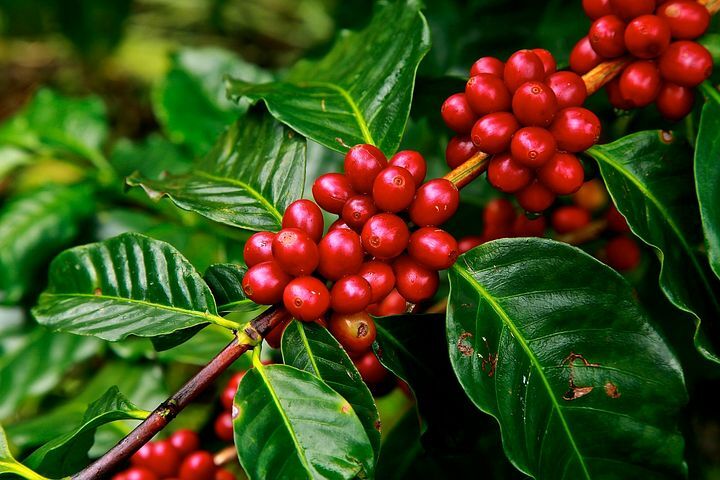 Shortly after, in 1721, the first coffee-house opened in Berlin and about at the same time, the first coffee plants made it to Guyana as well. The coffee story gets heated and spicy at this point with the love affair between Guyana Governor’s wife and the Brazilian Col. de Mello Pahleta. Seduced by the Colonel, the Governor’s wife gives away the precious coffee seeds and this is how the cultivation of coffee started in Brazil. Although late to the game, in a way, Brazil still developed into an impressive coffee producer over the following 300 years! De Mello Pahleta name itself remained famous, although very few know its actual story. Check out the Toronto gem by Trip Advisor for more. As the coffee seeds made it to Colombia, around 1798, Napoleon himself reported to have had seven coffee makers permanently on the stove! The 1800s brought the fame of the first espresso-making machine and, toward the end of the century, on the North American continent, the famous “Maxwell House” blend got born, in Nashville, TN. The coffee seeds arrived in Indo-China and Australia in 1887 and 1896, respectively, and soon completed their journey around the world when coffee beans arrived in Kenya and Tanzania. The twentieth century brought us the instant coffee, the first decaf and the coffee filter. The latter being discovered by a German lady while preparing the “Kaffee Klatsch“, a local German tradition of enjoying afternoon coffee and chatting over small matters. Reading about it reminded me about Frau Kluthe, one of the kindest ladies I met in Bochum, Germany. I was going through my training at the Max-Plank Institute in Dortmund, a small town nearby, and visited friends and family in Bochum quite often. Frau Kluthe opened her doors every single day at 3:30 pm for Kaffee Klatsch, welcoming neighbors, friends, and friends of the friends, to have a coffee with her. It was Frau Kluthe that I enjoyed my first conversation in German with! I still remember the first few German words I was able to put together: “Das Wetter is kalt” (meaning “the weather is cold“). Back then I did not realize what an extraordinary memory she was creating for me. Now, I do. I miss you, Frau Kluthe! When it comes to coffee, the beginning of the twentieth century is heavily marked by the American influence. In 1927, NYC had its first espresso machine – “La Pavloni” – installed at Reggio’s. The legendary machine is still on display there today! A decade later, facing a coffee surplus problem, Nescafe invented the instant coffee by freeze-drying the coffee surplus. It very much seems that this was the first coffee product imported by Switzerland. By 1940, United States imported no less than 70% of the world’s coffee crop! Two decades later, Carnation introduced the coffee mate non-dairy creamer and, at about the same time, the United Nations established for the first time coffee exports quotas. Seventies were marked by the opening of the first Starbucks coffee shop in Seattle. The store became a chain of 2,000 US coffee shops and over 5,000 outlets worldwide by 1998. Coffee was already the most popular drink in the world, with no less than 400 billion coffee cups sold each year! The growth of the coffee business was beyond impressive. U.S. alone had 9,500 coffee shops in 2002 and 25,000 in 2008. The number is estimated to increase to over 50,000 in the near future! The graph below shows the publication history of caffeine as indexed by PubMed.gov. Interestingly, you may notice that caffeine gained minimal attention before 1960. It was 70s and beyond that helped us understand why we like coffee and how its actions affect us. The graph shows the number of articles about caffeine published each year as indexed by PubMed.gov. Click the graph to learn more about the publication history of caffeine. If you enjoyed this post and want to explore further caffeine facts, visit my drug files to read more our knowledge to-date about caffeine. Don’t miss the chance to taste all the original coffee flavors I picked for you! Next Next post: Let’s not grab another coffee!